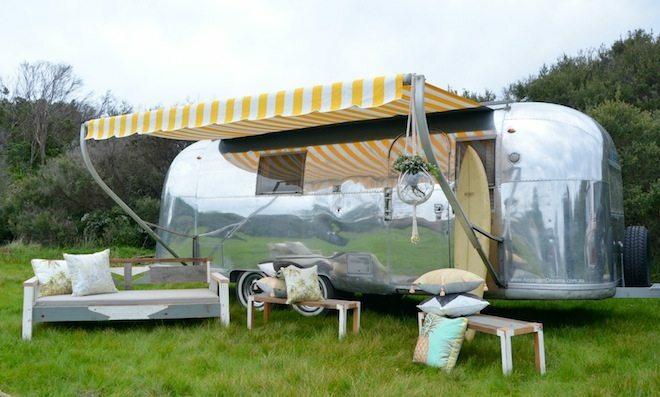 ‘Glamping’ (glamorous camping), seems to be a continually growing trend. If you are planning a spot of camping or considering an outdoorsy trip with friends, I’ve searched around and found three companies doing something a little different. If you can’t be bothered with the technical set up side to camping, then these glamping options are your best bet in Melbourne and around Victoria. All of them make a fabulous treat or gift idea for loved ones. 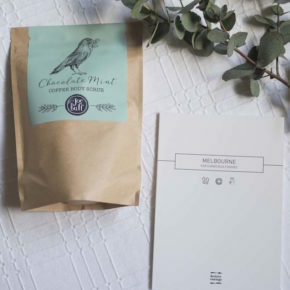 If you’re thinking of camping around the Mornington Peninsula, you might want to consider spoiling yourself with Happy Glamper. You can either book a campsite or perch yourselves on your own property and they’ll take care of the rest. You can choose from two of their vintage caravans or their deluxe tents and they’ll furnish your chosen ‘space’ with magazines, books, colourful mats and boardgames too. Sounds like a very fun weekend activity for families and groups! This is honestly one of the best concepts I’ve come across in a long time – glamping in the heart of a central business district. 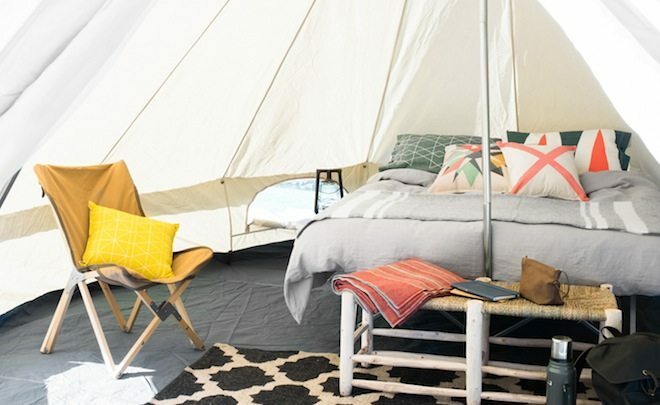 Placed on the rooftop of Melbourne Central, St Jerome’s Hotel is home to 20 stylish tents filled with everything you need to make sure you are more than just cosy. There’s 24-hour reception, gourmet breakfast hampers, afternoon tea, cocktail hour, and the list goes on to the point that I am starting to consider it a completely viable living space. A great one for a weekend treat or as a gift for couples that like the finer things. 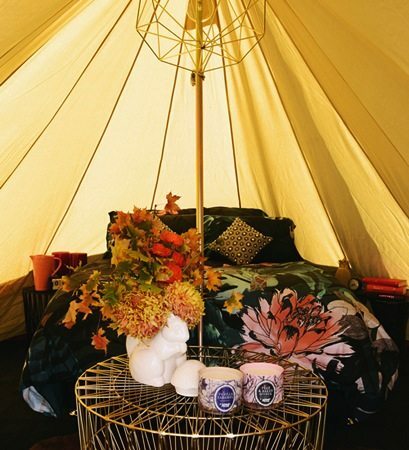 Apart from supplying super stylish outdoor goods, Homecamp also specialise in creating luxe camping set up, events and accommodation. All you have to do is book the campsite and they’ll do the rest. Glamping around the Great Ocean Road and the Bellarine Peninsula. Twilight Glamping can also help you organise an event or getaway. Contact them for more information about sites and possibilities. If you are planning on glamping around the Daylesford area, Cosy Tents is your best bet. Their European bell tents are set on a stunning site, 15 minutes away from the Daylesford city centre. It has a BBQ area, communal fire pit and shared toilet and bathroom facilities. Notes – ideal for couples not families, and not pet friendly.